As a coach with over 15 years’ experience as an athlete, I provide athletes with the skills and confidence to execute at the best of their ability both on and off the field. The percentage of time Megan B. responded to client inquiries within 48 hours in the last 3 months. As a highly motivated, hardworking individual; growth in sports without the proper resources was a difficult task but to overcome against all the odds is truly gratifying. The percentage of time Jesus R. responded to client inquiries within 48 hours in the last 3 months. The percentage of time Raiff G. responded to client inquiries within 48 hours in the last 3 months. 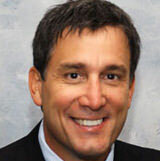 Dr. Z offers his clients a lifetime of five A experiences to help you achieve your athletic and personal goals. The percentage of time Zachary Brooks responded to client inquiries within 48 hours in the last 3 months. Current College and Semi-Pro player with flexible schedule and prepared for 1 on 1 sessions that will take any player's game to the next level. The percentage of time Carson Frost responded to client inquiries within 48 hours in the last 3 months.